FORMER Liqui-Moly Bathurst 12 Hour winner Bernd Schneider will join the HTP Motorsport roster at this weekend’s Liqui-Moly Bathurst 12 Hour. Schneider, a five-time DTM champion, will drive the HTP Motorsport AMG GT3 with Paul Dalla Lana, Pedro Lamy and Mathias Lauda. The Mercedes-AMG GT3 will make its hotly anticipated Mount Panorama racing debut at the 2017 Liqui-Moly Bathurst 12 Hour. 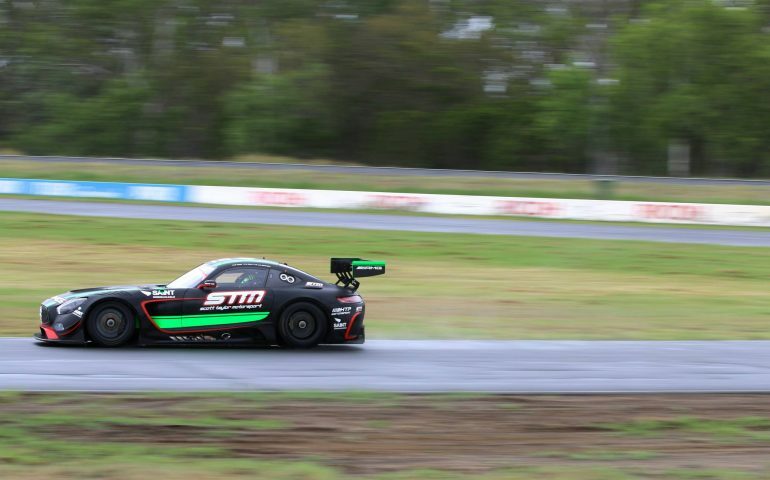 The Mercedes-AMG GT3 made its Australian Premiere at last year’s Liqui-Moly Bathurst 12 Hour, and went on to claim several wins in the 2016 Australian GT Championship and overall second placing for the season in the hands of Scott Taylor and Craig Baird. For the 2017 Liqui-Moly Bathurst 12 Hour, the list of Mercedes-AMG GT3 drivers includes no fewer than three previous winners, Bernd Schneider, Craig Baird and last year’s winner Shane van Gisbergen. “This year’s Liqui-Moly Bathurst 12 Hour race is set to be one of the most exciting yet for race fans,” said Jochen Bitzer, head of Mercedes-AMG Customer Sports. “We’re confident in both the teams and drivers who are piloting the Mercedes-AMG GT3 race cars. This is the first time our AMG GT3 will compete around Mount Panorama so of course this is a very important race to our brand. For the third consecutive year, Mercedes-AMG will supply the Safety and Course cars to ensure the smooth running of the event from February 3-5. The Mercedes-AMG C 63 S Safety Car is equipped with a 4.0-litre biturbo V8 making 375 kilowatts of power and 700 Newton metres, will corral the high-powered field of over 50 GT race cars across all on-track sessions including Sunday’s race. A pair of Mercedes-AMG C 43 4MATIC models will perform official duties as Course Cars across the weekend at Mount Panorama. Mercedes-AMG will also present the new pinnacle of driving performance, the AMG GT R, in its Australian debut. It will be shown in pit lane and driven by Mercedes-AMG factory driver and brand ambassador Bernd Schneider, who will also pilot the car during demonstration laps around the 6.2-kilometre circuit.